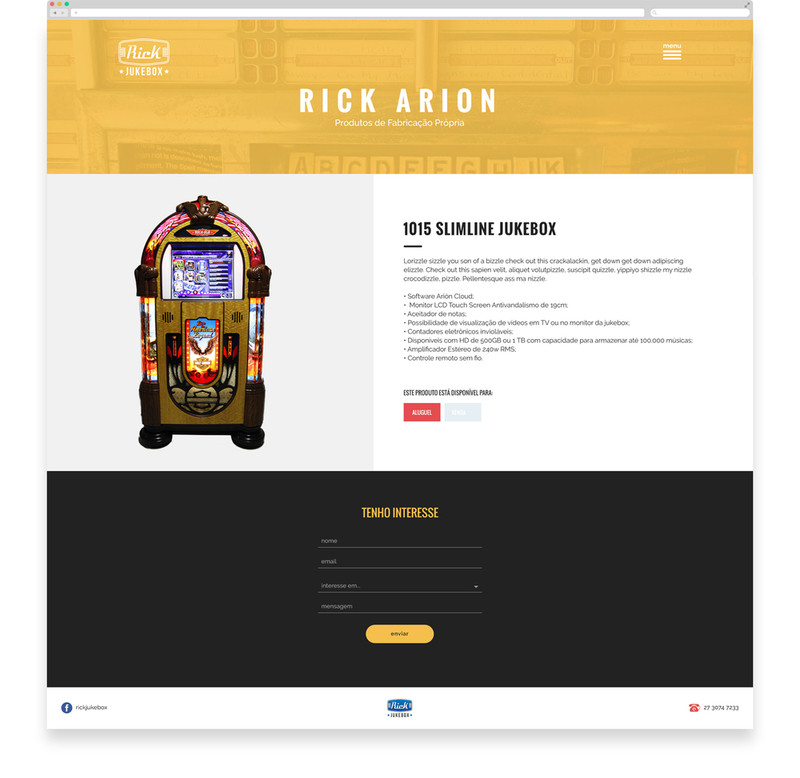 Rick Jukebox is a company that’s been manufacturing music machines since 1994. 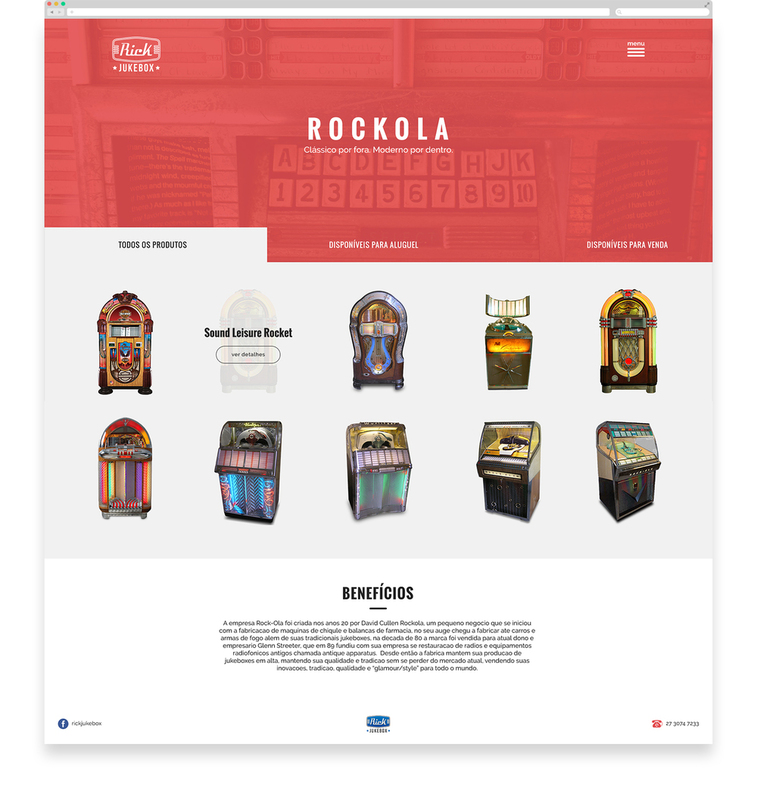 They pioneer in introducing the first digital jukebox with a modern and practical software in Brazil. Despite its quality and experience, the company was still seeking an identity and had the necessity to show its work. Now, with the website, people can understand the quality of his services and are able to rent or buy one of his Jukeboxes online.